To welcome all of you clicking through from Kotaku (and taking down our server for a couple hours yesterday — sorry! 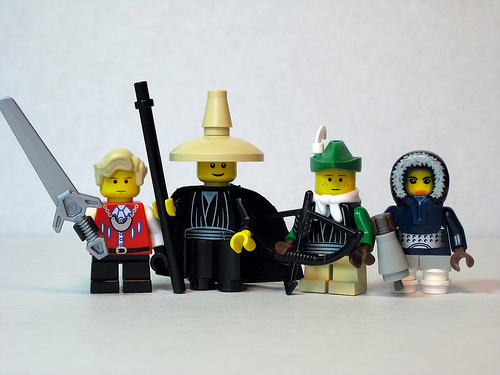 ), I whipped together another batch of minifigs inspired by video game characters. This is the first of three posts. From left to right, that’s Ingus, Luneth (as a black mage), Arc (ranger), and Refia (geomancer with bell).